Your wardrobe has the ability to define your confidence levels. Authentic personal branding should tell your unique story with simplicity, clarity and personality. Team presentation has influence, both inside the office and out in the market. There is one unique quality that separates you from your competitors, and that is you. Personal branding is an ongoing process of self-discovery whereby you create and promote a combination of your skills, experience, image and personality to the world. Your image and presentation are key components of your personal brand. What does your image say about you? Briony Croft Image & Branding Specialists understand the importance of presenting a consistent brand in personal and professional spheres to gain recognition within a workplace or industry, grow interpersonal connections and increase self-confidence. 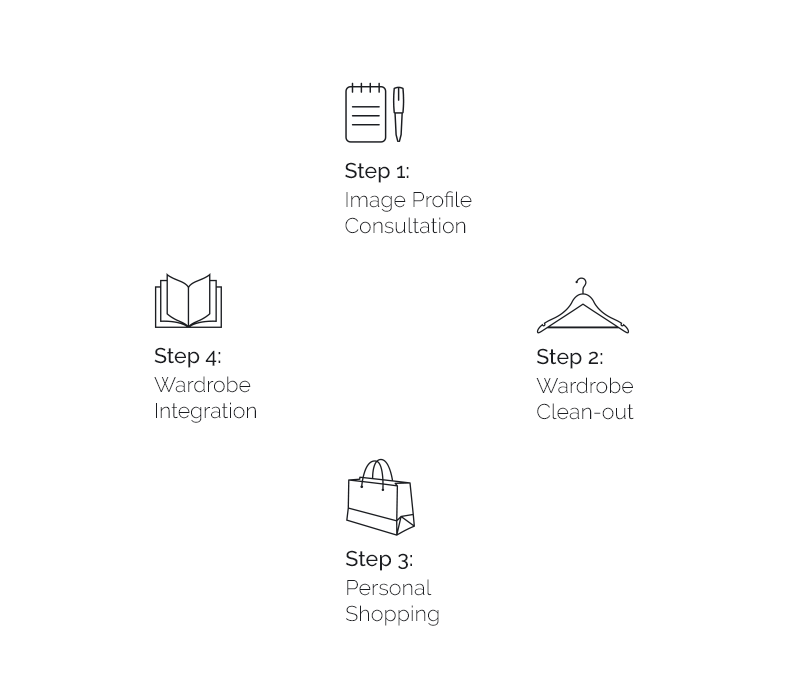 Our personal branding experts work collaboratively with you to implement wardrobe strategies that authentically express your lifestyle and profession. We are based in Melbourne, and take the time to learn about you and what’s important via our Image Development process. Beyond our Image Development offering, we’ve created the Brand365 yearly membership program where we continue to consult with our clients as they advance in their professional and personal lives. We have your wardrobe and image front of mind, so you don’t have to. Expanding on your image delivery, we ensure the images used in your marketing collateral are relatable and tell your unique story with simplicity with our Branded Photography process. People do business with people they relate to – we make sure your Personal Brand is covered and represented across multiple platforms. The images used to showcase your brand need to tell your unique story. People do business with individuals they like and trust. Briony Croft’s Branded Photography and Production service offers you direction and full support in producing your own unique set of images and video content that represent your brand. We specialise in personal branding for individuals and businesses in Melbourne and our expert consultants will help develop your ideal image and build credibility. Building credibility in your marketplace is crucial – a streamlined team is a strong team. Your organisation presents a strong vision and mission, but how is that vision expressed in an aesthetic sense? With many years’ experience in the entertainment industry, Briony’s stage presence is simply magnetic – captivating audiences large or small, in casual or professional settings. Interested in knowing what happens behind the scenes at Briony Croft? Sign up to our fortnightly initiative and receive thought provoking ideas on your personal brand, useful tools plus BTS of Briony and her team.